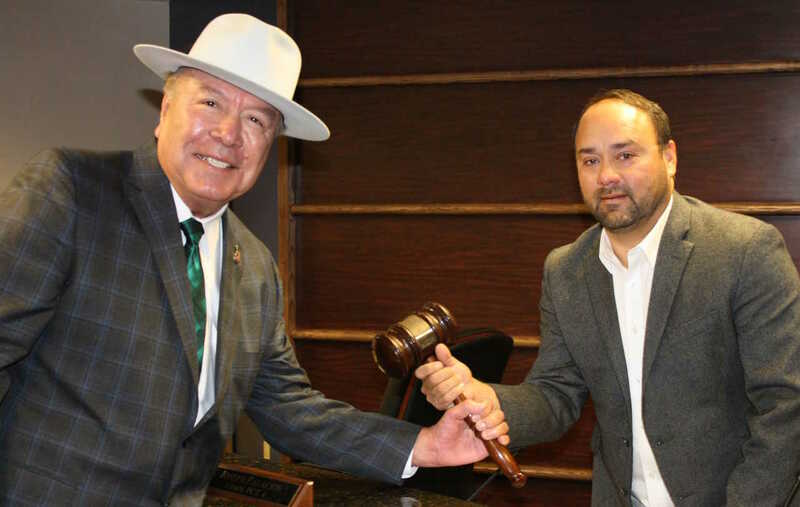 Featured, from left: Sen. Juan “Chuy” Hinojosa, D-McAllen during the Tuesday, December 4, 2018 public meeting of the Hidalgo County Commissioners Court was among federal, state, county and local leaders to pay homage to Hidalgo County Commissioner Precinct 4 Joseph Palacios for Palacios’ two four-year terms in that office. On January 1, 2019, Ellie Torres of Edinburg will succeed Palacios as the new county commissioner. Featured, from left: Alfredo Álvarez, President, Texas State Teachers Association Region 6 and Donna TSTA Treasurer; René Zamora, President, Edinburg Texas State Teachers Association; Rep. Terry Canales, D-Edinburg; and María “Maggie” Inglett, President, Harlingen Texas State Teachers Association, and Officer, TSTA Region 6. 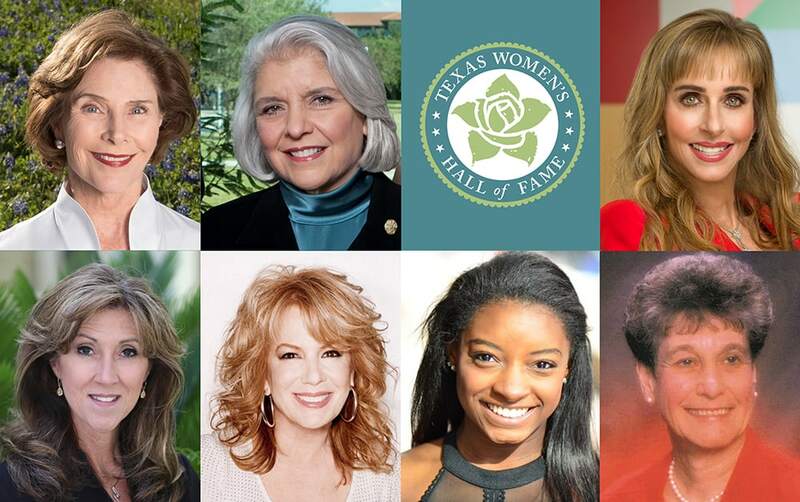 On Wednesday, April 28, 2018, in the First National Bank Ballroom in Mercedes, Canales, the House District 40 leader, was the only Rio Grande Valley member of the Texas Legislature who received the prestigious “Friend of Education” award by the Texas State Teachers Association (TSTA) – Region 6. 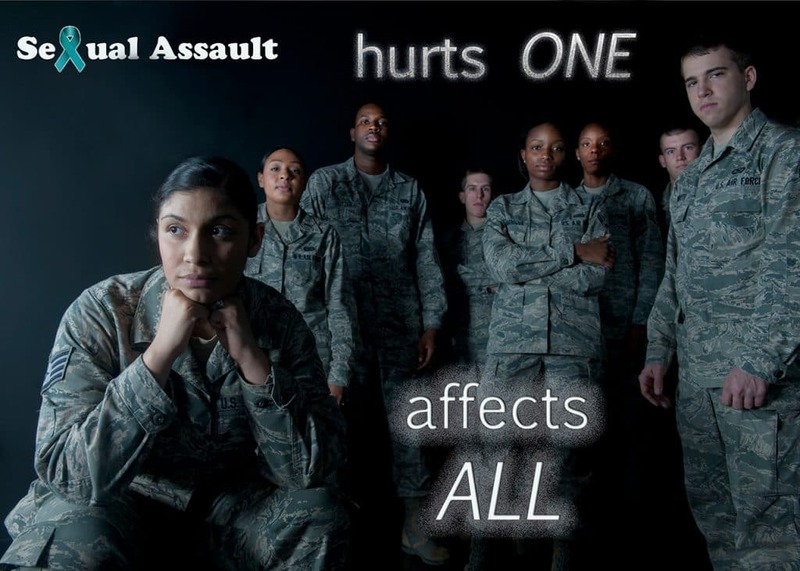 Featured: A recent U.S. Air Force poster, part of an ongoing campaign by the American military in support of Airmen and their families who have been a victim of sexual assault. 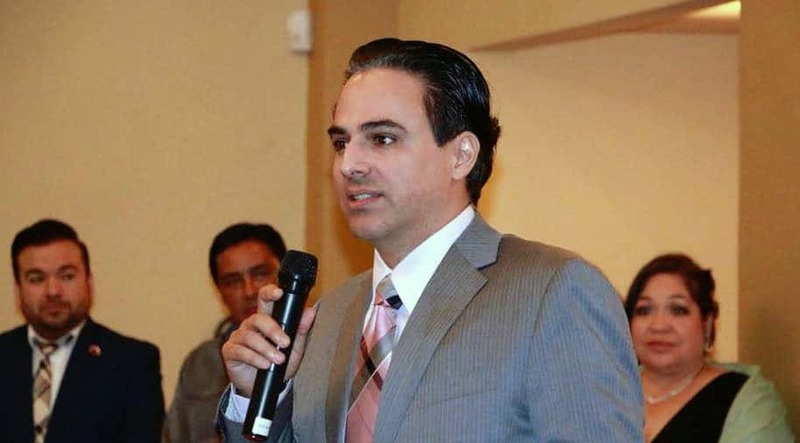 In Texas, a statewide effort led by Rep. Terry Canales, D-Edinburg, is underway to develop strategies to reduce sexual assault by equipping the public with knowledge and awareness of this serious crime by designating April as Sexual Assault Awareness Month. Rep. Terry Canales, D-Edinburg, has proposed that April would be designated as Sexual Assault Awareness Month in Texas in order to increase knowledge that leads to more prevention of sexual assault and punishment of criminals, and to authorize the regular observance of Sexual Assault Awareness Month through appropriate activities in public schools and other places. Sexual assault, according to FindLaw.com, occurs when a defendant – intentionally and knowingly – commits any of a number of prohibited sexual activities listed under Texas’ sexual assault law without the victim’s consent. Canales’ proposal, as illustrated in House Bill 822, was overwhelmingly approved by the Texas House of Representatives on Thursday, April 2o, 2017. The bill will now go to the Texas Senate for their action. “Today, I passed legislation out of the House to officially designate the month of April as Sexual Assault Awareness Month in an effort to raise public awareness about sexual assault and educate communities and individuals on how to prevent sexual assault,” Canales said. “We need everyone’s help to reduce sexual assault, and I believe that officially designating this month is a step in the right direction towards proactively reducing sexual assault.” Sexual assault is a serious criminal violation. Canales’ measure stems from a study conducted by UT Austin’s Institute on Domestic Violence & Sexual Assault, whose findings were released on Friday, March 24, 2017. The report titled Cultivating Learning and Safe Environments showed that sexual assault is an ongoing problem throughout society, including in the halls of higher education. According to the study, almost 200 out of the more than 3,800 students who participated in the anonymous online survey reported to have been sexually assaulted since they have been enrolled at the University of Texas Rio Grande Valley’s campuses. Nine percent of those students who participated in the anonymous online survey – almost 350 individuals – said they had been victims of unwanted sexual touching since they have been enrolled at UTRGV’s campuses. “These figures are shocking, to say the least,” said Canales, an attorney who also serves on the House Committee on Criminal Jurisprudence, which shapes state laws to protect Texans, especially from violent criminals. “But through this legislation, and another major bill I am working on, we are going to help remove the shroud of secrecy over sexual assault, family violence, and stalking policies at our public universities and colleges.” House Bill 1096, coauthored by Canales and Rep. J.M. Lozano, R-Kingsville, would require public universities and colleges in Texas to provide students and organizations with information about these crimes. “If HB 1096 becomes law, but a public university or college fails to provide that information, that university or college would not receive any state funding,” Canales said. In certain situations, active duty members and veterans of the U.S. military who suffer from a brain injury, mental illness, or mental disorder, including post-traumatic stress disorder, or was a victim of military sexual trauma that occurred during or resulted from the defendant’s military services – and who are convicted of their first criminal offense in Texas – would be able to have that conviction wiped off their record automatically and for free, Rep. Terry Canales, D-Edinburg, has proposed. His measure, House Bill 322, which was approved on Wednesday, April 12, 2017 by the Texas House of Representatives on a vote of 146 to 0, now goes to the Texas Senate for its action. HB 322 also would extend these protections to eligible members of the reserves, national guard, or state guard. Having a court order the destruction of records of the conviction is known as an expungement. An expungement is currently available for certain Texans, but the costs nationwide can start around $400 and go up to $4,000, plus court costs, depending on the nature of the charge, according to CostHelper.com. Texas veterans “are being failed by current law because in many cases these wounded warriors do not get their record expunged because it requires hiring a lawyer and paying additional court fees,” added the House District 40 state lawmaker, who is an attorney. 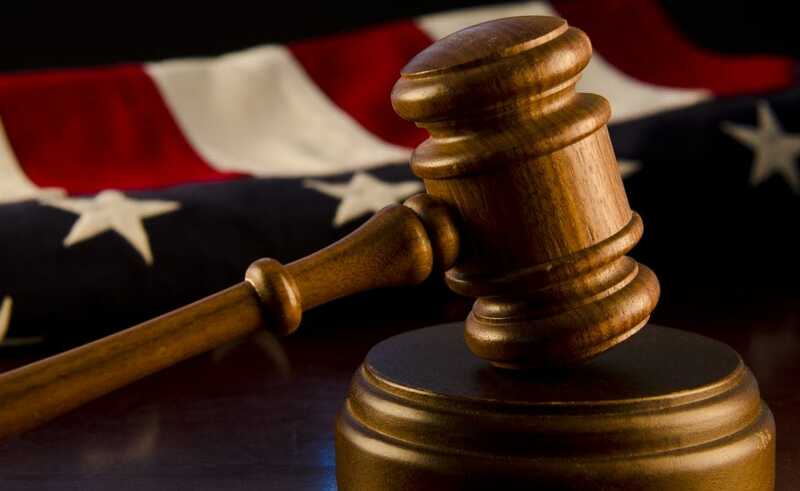 “Such costs prevent many veterans eligible for an expungement from doing so.” But under HB 332, U.S. military personnel and veterans who successfully complete a rigorous and effective series of rehabilitative programs offered through veterans courts in Texas would be able to have their record cleared of a first offense, saving them thousands of dollars and precious time. “Criminal records are like scarlet letters that a person carries for the rest of their lives,” Canales said. “Our active military personnel and veterans fight and die for us, and I believe if they mess up, they should be given special consideration under the law.” HB 322 was requested by judges statewide who oversee the state’s veterans treatment courts.